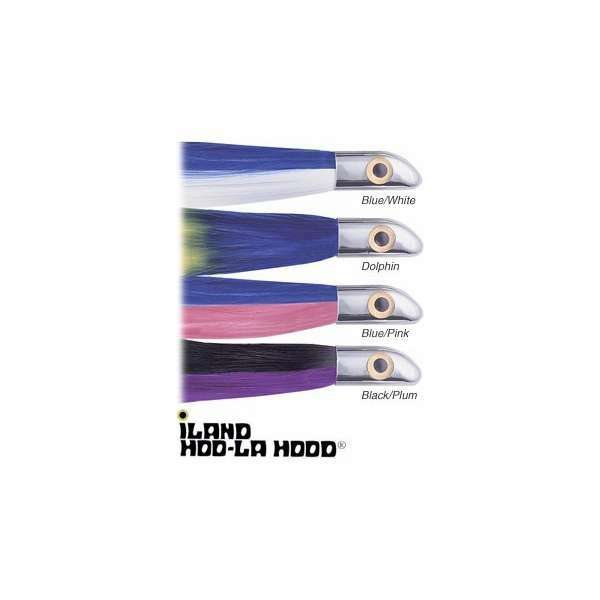 The Iland Hoo-La Hood combines Iland Lures' lustrous nylon fiber with the popular Iland Hood to create a colorful target for game fish to strike. Simply place Hoo-La Hood over a Ballyhoo and watch it swim. 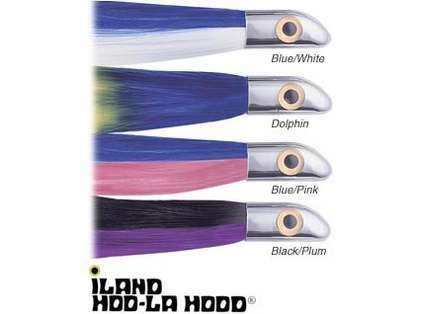 Iland Hoo-La Hood minimizes �washout�, and allows anglers to troll Ballyhoo below the surface of the water at speeds up to 12 knots. If game fish are finicky, the added color of the skirt may yield results.